Rachel gets to play soccer again, this season! She made two goals in her last game. Rachel is also thriving at school and growing up to be a godly woman. It is awesome to have been married to Lori for over 32 years, now. I say enough about me (Michael), so here is something about Lori. She teaches health at Iao Middle School. It is a paid position that helps us make ends meet and covers our health insurance, but it is also a ministry. She has 174 students from a variety of islands. This school isn't in the most affluent area of the island, and the home life of many of the students may not be ideal, but I know they have a good teacher. 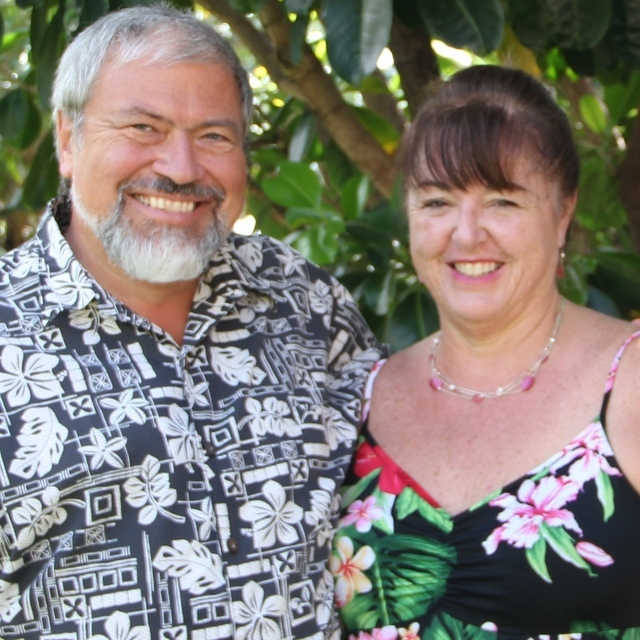 In the course of her work, Lori hears and uses a lot of Hawaiian words mixed with English. Doing so honors people in the context of Hawaiian culture. Can you match these words with their definitions? We were happy to celebrate several baptisms this Sunday. The joy of the Lord was very much in evidence! In this picture, Lori went in the water to support a friend who was getting baptized. This friend is in the Bible study group that meets in our home. Praise God! People who speak minority languages and people in persecuted countries need better access to the Holy Bible in their own languages. These are the people who normally can't just go to a bookstore and buy a Bible. However, they often have access to digital devices that can display Bible text and play audio Bibles. With your help, we are helping these people have easy access to God's Word. For English speakers, we provide the World English Bible and its derivatives. All of the other Bible translations are translated by others who allow us to distribute their Bible translations. We do this because God's Word produces eternal results in people's lives. We don't require payment for any of these Bibles, but rather rely on God to supply our needs.